Base Optics has brought to the finest adjustment screw threads available anywhere. 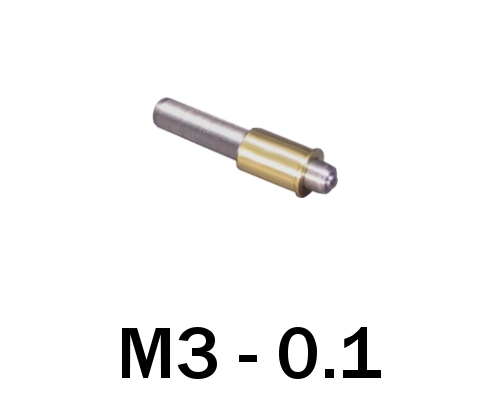 These M3-0.1 ultra fine adjustment screws have 254 Threads per Inch (TPI) which translates into 100μm (100 microns) of travel per complete revolution. These extreme fine adjusters provide sub micron resolution without the need for awkward differential adjuster solutions. These ultra fine adjustment screws are made in the USA and sold from stock in common sizes (8mm, 10mm, 12mm, 15mm, 20mm and 25mm long). These ultra fine adjusters come pre-paired to a bushing at the factory to assure the tightest fit possible and prevent debris from being caught in the threads. 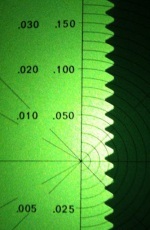 For more information on Base Optics fine adjustment screws please see our Fine Adjustment Screws Tutorial. Don't see what you want? Call 570-371-5710 or email [email protected] for custom and vacuum compatible versions.